This training focuses on the specific risks of Child Sexual exploitation / abuse to boys and young men. This is for safeguarding professionals and staff working within the children and young people’s sector. The training need was identified due to the nature of the risk and the lack of appropriate training available for staff to consider the specific risks that CSE poses to boys and young men. To develop the confidence of professional to raise awareness of the specific risks posed to boys and young men from Child Sexual Abuse/Exploitation. For all Designated leads/team members responsible for Safeguarding in their setting. Statutory requirement for staff meeting ‘Robust 2-yearly training’ for those with a lead or designated professional role for safeguarding in settings. Having completed basic training, this course equips professionals to perform their senior safeguarding function in settings. Course content includes: latest legalisation and procedures, policy development, awareness of multi-agency working, information sharing, the referral processes, thresholds, management of safeguarding with staff and within settings. Challenging topics are also explored from a management level. ECP provide accredited training through the Safer Recruitment Consortium – meeting the standard and level of training is consistent with the Local Authority offer of Safer Recruitment Training. The content is up to date, relevant and sector specific. If you would like more information please do not hesitate to get in touch. Education Child Protection is a specialist training company, that works with any organisation that comes into contact with children young people, families and adults at risk. 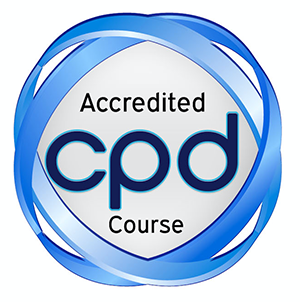 We are proud to provide some of the very best Child Protection, Online Safety and Adults at Risk training within the UK. We offer basic Child Protection training, Online Safety for both children and parents, right through to Designated Safeguarding Lead training.The company has secured many contracts nationwide, including the direct delivery of training on behalf of several Local Safeguarding Children Boards.